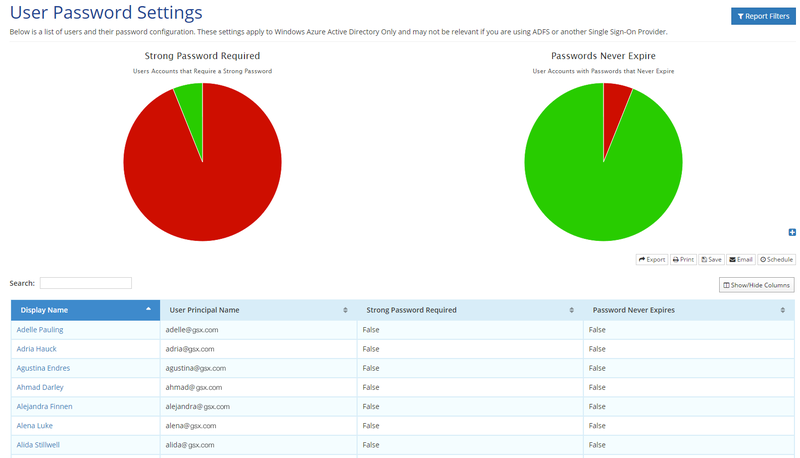 GSX 365 Usage Reports is a simple to use SaaS application that allows you to create over 90 customizable reports about your Office 365 environment. 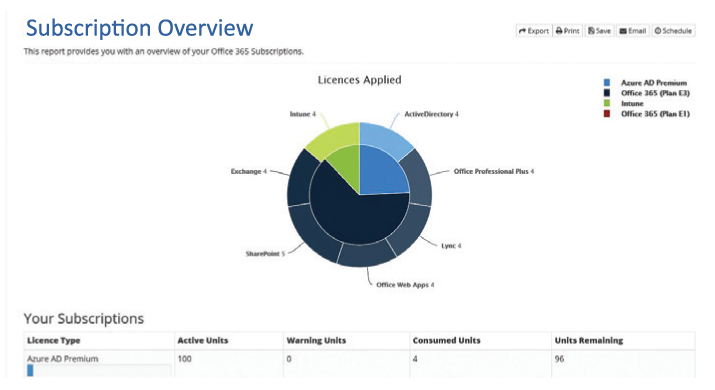 Save money by identifying unused licenses and analyze how your Office 365 services are being used. 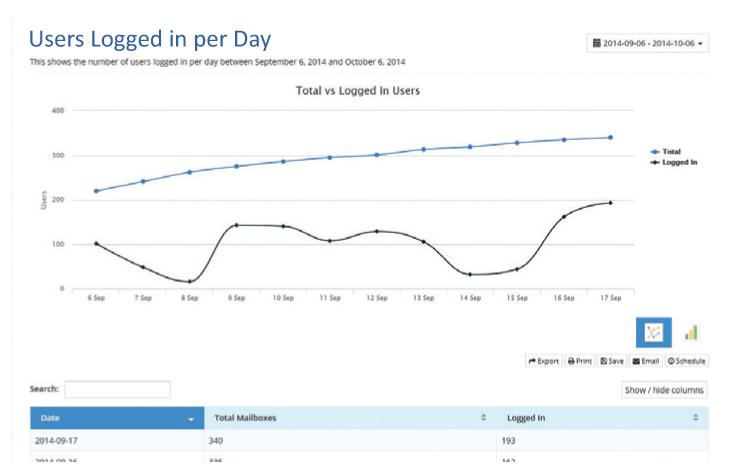 Identify trends and measure user adoption of your cloud services. Easily monitor compliance with organizational policies and identify security risks. Support for Office 365 including Exchange Online, Skype for Business Online, Azure Active Directory, Licenses, SharePoint Online, OneDrive for Business and Mobile Devices & Security. 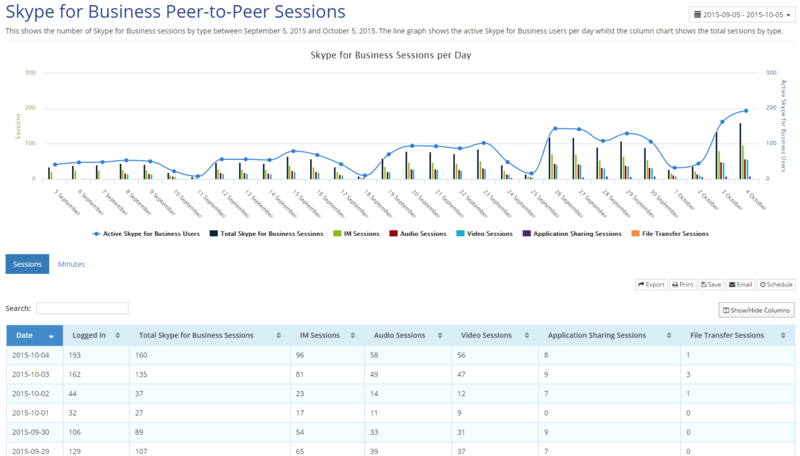 General User reports: Get insights and analytics into how people in your organization are using your services. 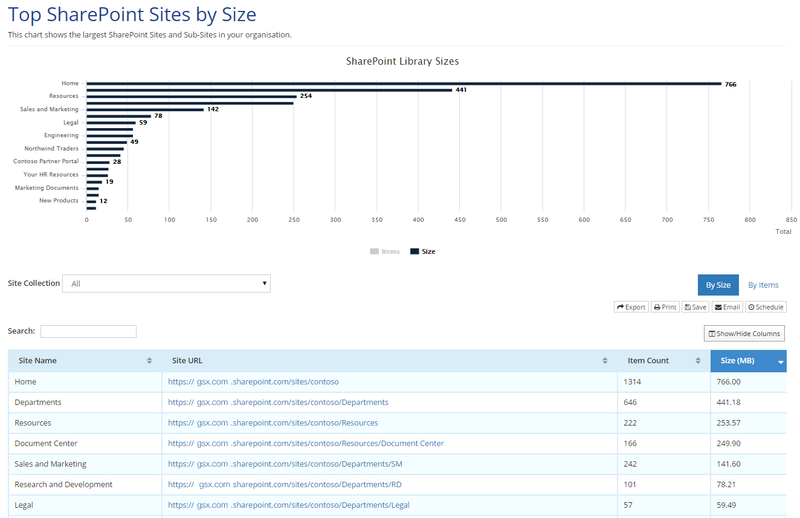 SharePoint Online Reports: Reduce risk of sensitive information, enhance security, monitor storage, manage administration and audit SharePoint online permissions. Save money by identifying unused services and licenses and analyze how Office 365 services are being used. 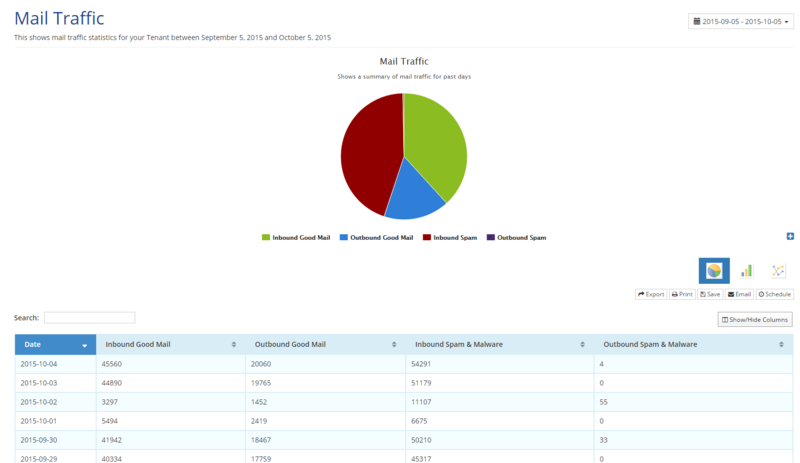 Access and produce customized reports and graphs and automatically deliver them by email in PDF or CSV format. 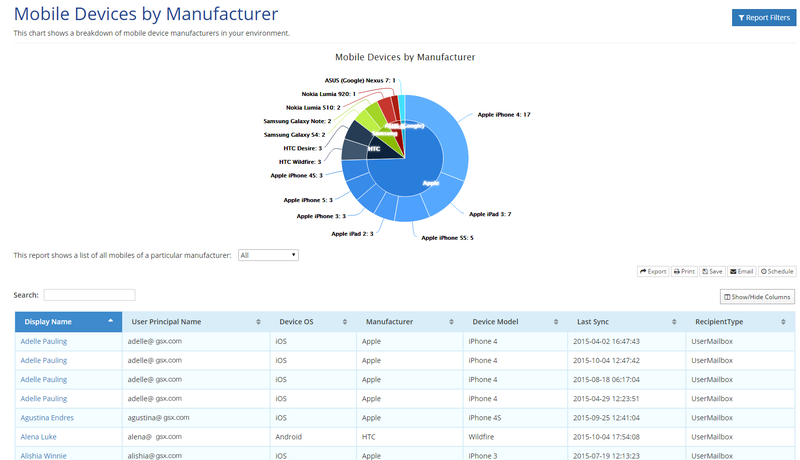 Track migrations progress and automatically update stakeholders. Monitor day to day usage and long term trends. Identify security risks and cost savings while maintaining visibility of changes in your environment. and measure adoption of Exchange Online gathering mail traffic statistics and spam monitoring. and security with organizational policies and proactively identify risks. View and audit settings, permissions, storage and usage across SharePoint Online and OneDrive for Business.